In this time between jobs, start building your Master Application — an invaluable personal reference document you develop that is all about YOU and kept only by YOU. Find and use a blank job application as a template, head to your computer and get started. A Master Application is more detailed than a resume, as are most real applications. Its purpose is to provide you with one reference document, so you have all your information in one place to speed up the application process when the time comes to apply for a job. Having one can also give you the appearance of being a very well organized individual. So what’s included? 1. Previous employers’ contact information – Addresses, phone numbers, names of supervisors and co-workers, etc. You will want this information even if the company has closed since you were there. When it comes time to check your information, there are available resources that can verify whether a company did exist during the time frame you give on your application. 2. Job descriptions – Organize these by functions so they are easily transferable if you need to broaden a job search. And don’t forget your accomplishments. Recruiters and employers want to know the range and scope of what you did with those skills. Was your work local, national, or international? What industries did it touch? How many people/contacts did you work with per day, monthly, annually? Goals met and exceeded. 3. How far back should you go? – Initially a 10-year work history, but as time allows, go as far back as you can go. Now is the time when you can research / verify your dates of employment and look back at what you have accomplished in your lifetime. 4. Salary History – Again this Master Application is your private, personal reference document. Do not share it with anyone. If a salary history is requested by a potential employer, just put it on a separate sheet and submit it with your contact information at the top as the letterhead. 5. Education – Addresses of your schools, training entities or school district offices where records are kept are helpful. In this day of interstate company and job relocations, doing this homework now, instead of when it’s requested, will speed up your background check, especially if you foresee transcript requests. 6. Skills – Do a bullet list…an info dump of projects, tools, industry software, hardware, anything that could be identified as a skill, whether job specific or transferable. You will be amazed at what you own. Will this take time? Yes, but it doesn’t have to be done at one sitting. Start with 15-30 minute increments, so you can locate the tools and resources needed. It may take a week or two to complete, but it will be well worth your while as you journey in the world of work. 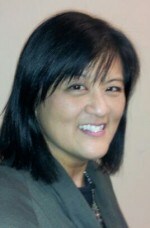 JoAnn Kawamoto is a Workforce Solutions Regional Facilitator in the Houston – Galveston area, conducting job skills seminars throughout the 13 county Gulf Coast region. She applies her B.Ed. and over 10 years of workforce development experience, HR, education, employment, training and contract management to assist potential employees identify, refine & connect with employers.